1. Following the collapse of the Soviet Union in the 1990s, the radical sector of the Florida-based Cuban exile community increased its terrorist attacks against Cuba. The tourism industry – a vital sector of the fragile Cuban economy – was a particular target. Bomb attacks resulted in dozens of casualties. 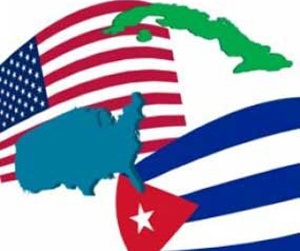 Faced with the immunity these violent fringe groups were receiving from U.S. authorities, the Havana government decided to send several agents to the United States to infiltrate these criminal organizations and prevent the realization of further potentially lethal acts. 3. Following a trial that has been denounced by many legal institutions for its numerous irregularities, the five Cubans nonetheless won their case on appeal from a three-judge panel of the Atlanta Court of Appeals. The tribunal found that they had not received a fair trial. The U.S. government, however, lodged an appeal and the Five eventually received a total of four sentences of life imprisonment, and an additional sentence of 77 years. On October 13, 2009, the Atlanta Court of Appeals instructed the Florida court to modify the prison sentences for three of the five defendants. The review that was conducted resulted in Antonio Guerrero’s penalty of life imprisonment plus 10 years being changed to 21 years plus 10 months, plus an additional penalty of five years of supervised release. On December 8, 2009, Fernando González’ sentence of 19 years was reduced to 17 years plus nine months. In the case of Ramón Labañino, his sentence of imprisonment for life plus 18 years was reduced to 30 years in prison. Rene González and Fernando González were freed after serving their entire sentences. 10. On the same day, Cuban authorities sent a letter emphasizing the possibility of a military response to the Federal Aviation Administration. The letter underscored the illegal incursions into Cuban national airspace and the “serious consequences” that such acts could entail if they were to continue . 16. On January 22, 1996, the State Department sent an alert to the Federal Aviation Administration: “One of these days, the Cubans are going to shoot down one of those planes .” José Basulto had repeatedly stated in the media that he was aware of the danger. 20. After several warnings, two of the three planes were shot down by Cuban forces in Cuban airspace, an action that constitutes an act of self-defence under international law. No country in the world – certainly not the United States – would have waited until the 26th violation of its airspace by an organization, after having made numerous appeals for help, to take such a measure. 21. However, the United States asserts that, according to its satellite data, the two planes were shot down in the international zone, which would constitute the crime for which Gerardo Hernández is accused. Of course, publication of satellite data would remove any ambiguity about the matter. However, since 1996, the United States has refused, for reasons of “national security,” to make this information public despite repeated requests from Gerardo Hernández’ lawyers. The author’s latest book is The Economic War against Cuba. A Historical and Legal Perspective on the U.S. Blockade, New York, Monthly Review Press, 2013. http://monthlyreview.org/press/books/pb3409/ (prologue by Wayne S. Smith and preface by Paul Estrade).